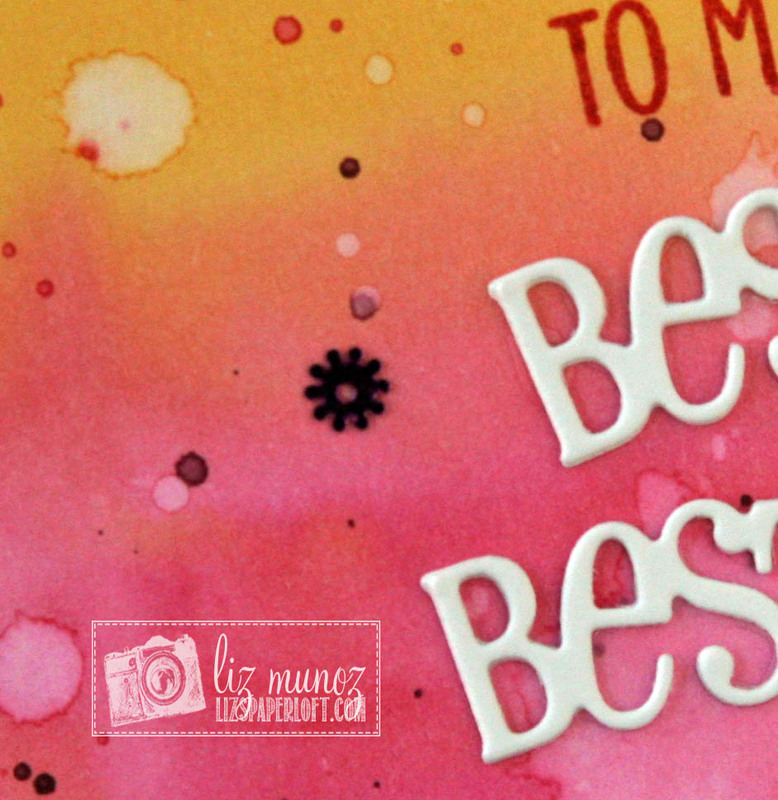 Liz's Paper Loft: MCT October Release Sneak Peek Day 3 ~ bestie! 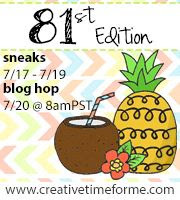 We are half way through this week of sneak peeks! 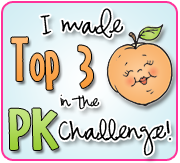 Yep, that's right it's Day 3 of My Creative Time October Release Sneak Peeks! 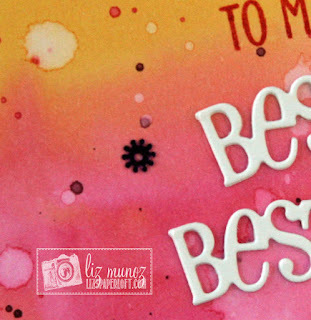 My card is featuring the Bestie Die and of course I could just leave well enough alone...I cut up the "bestie" die to get the "best" cut. :) For the "to my" I masked a stamp from Friendships are Forever stamp and die set. I simply created the background using Tim Holtz distress inks and water. I really think distress inks make the best watercolor backgrounds! Oh My What a Beautiful card!! 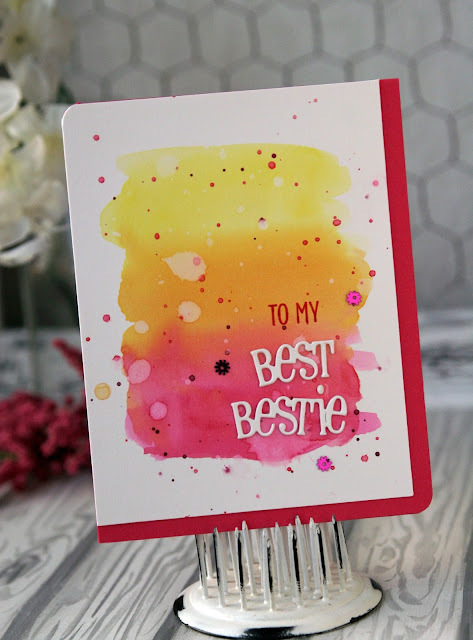 Love the colors and your watercoloring and your Spatters really makes for an awesome background featuring the new stamps & die!! 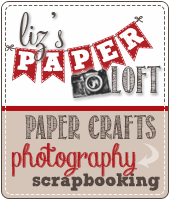 Very clever and creative way to use the freebie die....Love it!! your watercolor background is so beautiful, and whit white die looks amazing! Love your fabulous inked background! So pretty and cheerful! Such a beautiful card!!! I love the soft watercolored background...so pretty! And how clever of you to cut up the bestie die to get the word best! Love it! Love how you have made such good use of this die. 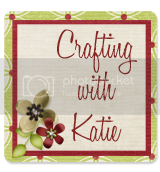 Fun and colorful card and great use of this die. 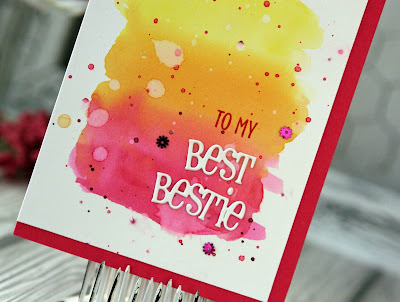 Love the beautiful watercolor effect on this lovely card. 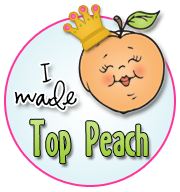 The *Bestie* receiving this will be wearing a mega-watt smile for sure! Your colour combination is stunning! Your card is so cute. Love the background. 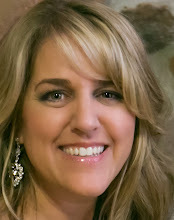 This is so pretty Liz! Love the colors!!! Really, really love your watercolour background. I am definitely going to have to try this. Love the way you used the die in 2 different ways. Very creative. Love your card!!! Liz ~ Oh how CLEVER of you to cut off the "ie" on the "bestie" die!! LOVE this idea!!! Then of course the water colors ~ BEAUTIFULLY done again!